Before Barack Obama was elected, while he was still campaigning to become President, there was comment in the American media on how he pronounced Pakistan. Here is what he said. Listen here, at times 0:09, 0:49, and 0:58. The Atlantic's Marc Ambinder even joined in: "Noticing that Obama says Pahk-istan and McCain says Pack-istan." But as Think Progress tells us America's hero of Iraq and Afghanistan David Petraeus also pronounces Pakistan with a soft "a", just like Obama. It is striking that at 0:09 he says æfˈgænɪstæn ən ˈpɑkɪstɑn. It’s almost as if the ending -istan were subject to some kind of vowel harmony. I think his pronounciation of Pakistan is far better than any American politician I've heard. He takes out the yankie 'twang' which gives it an authentic Urdu feel. The thing I noticed about the pronunciation was not the first syllable but the soft "th" sound that is somewhere between a hard t and th. Very authentic and very muslim. What exactly this means I do not know. Perhaps he used an unaspirated dental stop. If so, good for him. I do not think Obama’s pronunciation of Pakistan would have elicited any comment at all in Britain, except perhaps that he stresses it on the first syllable instead of, as we usually do, on the last. But in nearly all the cases on the video clip it can be regarded as having contrastive stress vis-à-vis Afghanistan. During the eighties quite a few of us must have been experimenting with dot-matrix phonetic symbols (blog, 8 December). These were the heroic days of home computing, when we were all teaching ourselves how to do simple Basic programming. I know that I found out how to modify the character set on the Sinclair ZX Spectrum that I had. The result could be displayed on screen (which was a television screen in those days), but the only way to print it out was on special aluminium-coated paper. Masaki Taniguchi tells me that he made his own phonetic symbols on his word processor in the 1980s and put them in his papers. Your blog post on how we printed phonetic symbols in the olden days has got me dredging up forgotten memories. I produced something a bit like the system Mark Huckvale describes, only for Sinclair QL, which means that only about three people in the world ever used it. I'm racking my brains to remember how it was done - if I remember correctly, I hacked the subscript and superscript fonts on the word processing package bundled with the computer [which was called Quill — JCW], so that subscript was replaced by IPA and superscript by Cyrillic. It was about 1985 or 1986, so around the time of NLQ printers (and before I took possession of my first Macintosh at SOAS in 1987). I enclose a scan of a mouldering handout - look, symbols for transcribing intonation too! Plattdeutsch was without unstressed vowel sound. As I was a child growing up, my mother taught me to recognize and name a large number of wild flowers. One of them was what she called the wood aven ˈeɪvn̩. At least, I think that’s what she called it. But I suppose it’s possible that she may actually have said something like Look at the wood avens over there! Because now I find that avens is actually a singular. The flower is a wood avens. A patch of them would properly be a patch of avenses. Furthermore, the OED says it’s pronounced ˈævənz. Whether my mother thought of it as an aven or as an avens I shall now never know. Perhaps it was I who inferred the singular aven, not her. And I don’t think I have ever talked about this flower with anyone else. Naturally, I am reminded of the etymology of pea, a back-formation from pease, taken as a plural, and of cherry, from popular Latin *ceresia via Norman French cherise, “which was subseq. mistaken for a plural in -s, and a singular cheri educed from it” (OED). I have even heard someone refer to a member of the human species as a homo sapien. It’s what happens when you start educing [sic] things. Several readers have commented on yesterday’s blog posting. First, I should perhaps have made it clearer that syllabic consonant formation is an absolute precondition to the type of assimilation I was talking about. The only possible input to the rule is a syllabic n̩. The point is that if a syllabic nasal immediately follows a plosive, then there may be assimilation of place to that of the plosive. Naturally, if the schwa remained it would prevent the nasal from directly abutting the plosive, so no assimilation could occur. Secondly, if the nasal is also followed by a consonant then it will be a candidate for regressive assimilation as well. 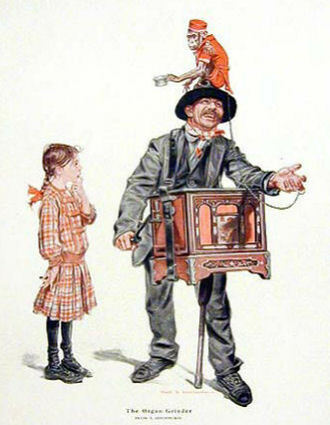 Sometimes these two assimilatory pressures reinforce one another, as when steak and kidney becomes ˈsteɪkŋˈkɪdni, organ grinder becomes ˈɔːgŋgraɪndə, or carbon paper becomes ˈkɑːbmpeɪpə. But sometimes they pull in different directions. In steak and mushroom (pie) the k of steak tries to make the n̩ (= and) velar, while the initial m of mushroom tries to make it bilabial. I think it was Francis Nolan who showed that often in such cases both things happen simultaneously, so that we end up with a velar-bilabial, or indeed velar-alveolar-bilabial, nasal. Thirdly, as Eric Armstrong points out (and he is by no means the first to do so), in AmE people do not make these assimilations nearly as readily as we Brits do, or perhaps at all. [Progressive assimilation] never happens in North America, as far as I can tell. There's a lot less assimilation over here in general, I think. North Americans [also] don't do the assimilation of /nd/ to [m] before /w/. My gut is that we hear/feel /w/ differently, so we're not anticipating the lip action, and so there's nothing really to assimilate. When I model this kind of change for my North American clients, they often look at me like I'm a bit mad. "Surely that can't be right..."
Personally, I normally keep you (weak form) as ju, rather than reducing it to jə. But that’s not the point. There are plenty of speakers who would reduce you in that way. There is a fairly drastic reduction of understand: elision of one stress and one consonant, assimilation of the newly final consonant. But that’s OK.
No, it’s the word can. Although we can say kŋ in contexts such as you can go, they can be, we can do, we absolutely cannot do so in you can ask, they can always, we can only. So why not? What’s the difference? It’s the phonetic context. This kind of assimilation can take place only phrase-finally or before a consonant (go, be, do), never before a vowel (ask, always, only). Progressive assimilation (aka perseverative assimilation or lagging assimilation) is mentioned in most books about English phonetics, with such examples as ribbon ˈrɪbən → ˈrɪbm, bacon ˈbeɪkən → ˈbeɪkŋ. It is distinguished from ordinary regressive (anticipatory, leading) dealveolar assimilation of the familiar tem bɔɪz, teŋ gɜːlz type. You can find a handout of my lecture covering this topic here (see section 4.2, at the bottom). In it I refer to the constraint that the assimilation does not happen before a vowel. As far as I can recall, no one else has ever mentioned this constraint. But it’s real enough: you can say ˈəʊpm before a pause, or before a consonant as in opened, open them — but not before a vowel as in opening or open it. The constraint holds even if you change the p to ʔ, as we often do. After golfballs and daisywheels (blog, 19 November), the next important development in our ability to print phonetic symbols was the dot-matrix printer. This had a printhead with nine pins arranged in a vertical line. The head ran backwards and forwards across the platen while the pins struck an ink ribbon. This was controlled by a computer. The resolution for the printers we used in the 80s was 9 × 5 for each character (or for wide ones 9 × 6). This produced readable text, although the characters were very crude. The man who made the full set of IPA symbols available for phoneticians was my colleague Mark Huckvale, then working as a research assistant at UCL. 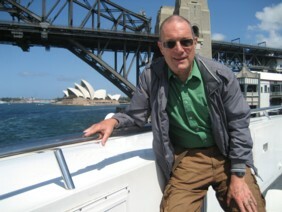 He created his Phonetic Script Formatter (PSF) software in 1983 or 1984. I was working in the Hut at the back of 21 Gordon Square and we had BBC microcomputers equiped with the Torch Z-80 add-on that ran the "CPN" operating system, which was a modified version of CP/M. This setup allowed us to run Wordstar, and we were able to print to Epson dot-matrix printers. PSF took Wordstar document files embedded with special codes to indicate a switch to the phonetic font. The program would then print the document, using a graphics mode of the Epson printer for the phonetic symbols. Here is a sample of the resulting ouput. It is from a research report I wrote in 1987, using WordStar with PSF. Here, enlarged, are one or two symbols. The next big improvement came with NLQ (Near Letter Quality) dot-matrix printers, which had 24 pins instead of nine. But I don’t think we ever had a way of printing phonetic symbols with them. Then we moved on to WYSIWYG (await next episode). I took advantage of my recent visit to Australia to check on something that has always puzzled me about Australian pronunciation. The same applies to many other pairs: offices—officers, tended—tendered, boxes—boxers, valid—salad. The last syllables in each pair are distinct for me, but not for Australians. Yet ɪ is not entirely barred from weak closed syllables in Australian English. You hear it in words such as basic and running, i.e. when followed by a velar. The interesting question is whether Australian ɪ and ə are in complementary distribution. If they are, then we can say that they are allophones of the same phoneme, phonologically identical. In non-velar environments, it is clear that that is the case. The crucial question then is whether ə also occurs before a velar, in contrast with the ɪ that we know can occur there. Almost all words with a final weak vowel plus a velar end in -ic or -ing. There are only a handful of words in my own English that have a schwa here: examples include barrack, haddock, hammock, cassock, hummock. There are no minimal pairs, as far as I can see, though there are non-rhymes such as prussic—tussock, panic—bannock. So in Australia I resolved to keep my ears open for any such words. I heard three: Dymock's, paddocks, barracks. In each case the unstressed vowel quality seemed to be ɪ. If paddock (the usual Australian word for field) is ˈpædɪk, then presumably it must be a perfect rhyme for dyadic and nomadic. Then ɪ and ə are in complementary distribution. We conclude that Australian has just three contrastive weak vowels: i, ə~ɪ, u, as opposed to the five in my own speech (i, ɪ, ə, u, ʊ, the status of the last becoming pretty tenuous). This change in the weak vowel system has an interesting consequence: the pronoun it can no longer weaken vacuously, as it does in RP (i.e. always pronounced ɪt, no matter whether strong or weak). Rather, we have an alternation between a strong ɪt and a weak ət. 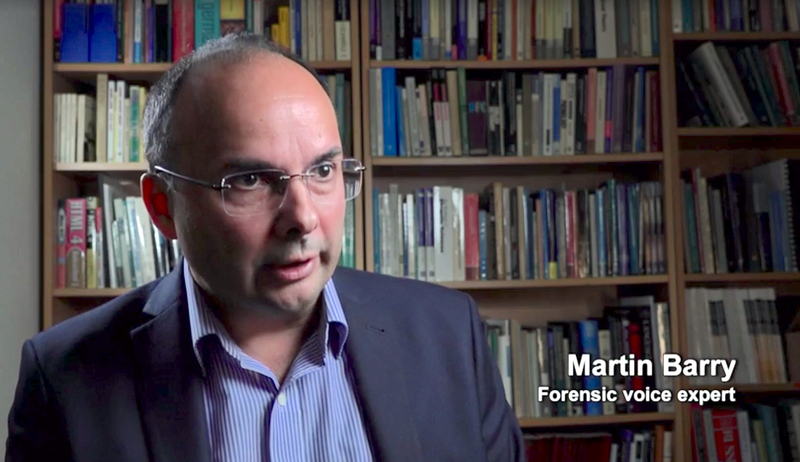 When I wrote my three-volume Accents of English, over a quarter of a century ago, I endeavoured to cover all the varieties of English pronunciation of which I could find written descriptions or of which I had personal experience. Inevitably, there were areas that I neglected. Looking back, I think that the whole coverage of English as a second language (chapter nine) was pretty weak. The only kinds of African English about which I knew anything then were South African and Nigerian. That leaves out the English of such countries as Ghana, Uganda, Kenya, Zambia, Zimbabwe and Botswana, to mention just a few. The coverage of Indian English was also very inadequate given the large number of inhabitants of the subcontinent who are either native speakers or fluent, English-medium-educated speakers. The Pacific Rim is another area I neglected, again through ignorance. Hong Kong? Malaysia? Hawaii? Fiji? Tonga? In particular, I said nothing about Singapore English. Yet Singapore has a population of more than four million, comparable to that of Scotland. Despite having four official languages (Chinese, Tamil, Malay, English) its public life functions almost entirely in English. I've just come back from a choir practice in which we were told that the 'correct' pronunciation of deity in 'Hark the Herald' is the diː... version. The conductor used his friend David Willcocks (of Kings College fame) to back him up! Everything in me says we should sing it how people say it these days! But I can see that singing might lag behind speech in changing things (especially in Cambridge colleges) and that you do all have to agree. The conductor thinks it all comes from the original language [...] Do you have any gems about how 'deity' should be sung in the 21st century? I discussed deity in my blog of 13 October 2006, with reference to the same issue in the word Judaea. In the first pronunciation preference poll I conducted (1988), diː- scored 20% and deɪ- 80%. It would seem likely that over the intervening twenty years the discrepancy has grown even larger. Yet as late as 1963, just a quarter of a century earlier, in the 12th edition of Daniel Jones's EPD, there is still no mention of deɪ-. In Latin deus has a short first vowel, and so has Augustine’s coinage deitās from which we derive deity. But English can't tolerate a stressed short vowel in an open syllable, so it was lengthened centuries ago. The Great Vowel Shift changed the resulting eː to iː, just as in hundreds of other words (to stay on-topic, intercede, credence, scene, mediator, Peter, neophyte). Just why deity started to change in the twentieth century is not clear. But we find the same thing happening in spontaneity, homogeneity, nucleic. It must be something to do with being in the stressed position and followed by a vowel. But no one does this change in, say, theoretical or diarrhoea, where we have the same phonetic context. I don’t think the schoolroom pronunciation of Latin is the explanation. True, at the end of the 19th century our public schools abandoned the old vowel-shifted pronunciation of Latin vowels (ē = iː) in favour of a ‘European’ pronunciation (ē = eɪ). But this has not led anyone to revise the pronunciation of Latin-derived ē in any other positions. And very few people know any Latin these days, anyhow. Anyone not familiar with this Christmas hymn can go to the cyberhymnal for the text. The word we are discussing is in verse 2, line 6. Better still, go to YouTube for a magnificent performance from St Paul’s Cathedral. As far as I can tell, the boys (and of course the congregation) seem to sing ˈdeɪəti, but some of the men ˈdiːɪti (at 1:55). And when we come to King’s College chapel itself (here, at 1:44), I hear only ˈdeɪəti. Unless one is striving for period effect, I think that’s now the best pronunciation for choirs to use. I think ˈdiːəti may still be more common than ˈdeɪəti in American English (and, according to the Longman Pronunciation Dictionary, so do you). Indeed. My polling figures were only for BrE. 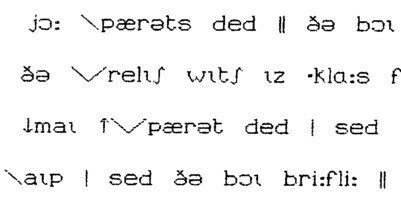 In your Accents of English you transcribe the Irish English coda allophone of /t/, the slit fricative (as opposed to a groove fricative) as a [t] with a subscript diacritic that looks like the IPA diacritic for 'less rounded'. Is it a coincidence that these diacritics look similar and is there no IPA symbol for a slit apico-alveolar fricative? I am a PhD student from the Czech Republic who teaches phonetics courses. I have used the 'less rounded' diacritic for American lax /ʊ/. We are going to talk about Irish English and my students (fortunately) are very inquisitive so I expect this question will be brought up. Here is the quotation he refers to (page 429). At the top of the sidebar is an enlarged picture of the symbol I used. Remember that my Accents of English was published over 25 years ago. At that time the diacritic for 'lowered' was as I showed it. Since the 1989 reforms, the diacritic for lowered is different: like a small T under the letter. That is what I would use today. See the second symbol in the sidebar (subject to the limitations of the font and its wayward placement of diacritics). This “soft t” is found not only in Irish English, but strikingly also in Scouse (Liverpool English). In Liverpool, and sometimes in Ireland too, it can be lenited even further, to plain h. So the word that has variants dat̞, dah. 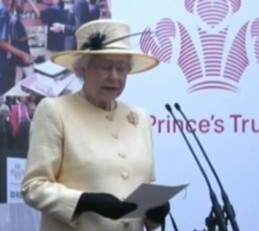 Petr Rösel writes about the Queen’s pronunciation in her recent speech to the Prince’s Trust, which you can find on YouTube (see also my blog of 20 November). Read Jack Windsor Lewis on the same topic.